The commanders started searching for the “sacred treasure” written in the scroll obtained at Nobunaga’s castle, and which might be a clue to Himemiko. 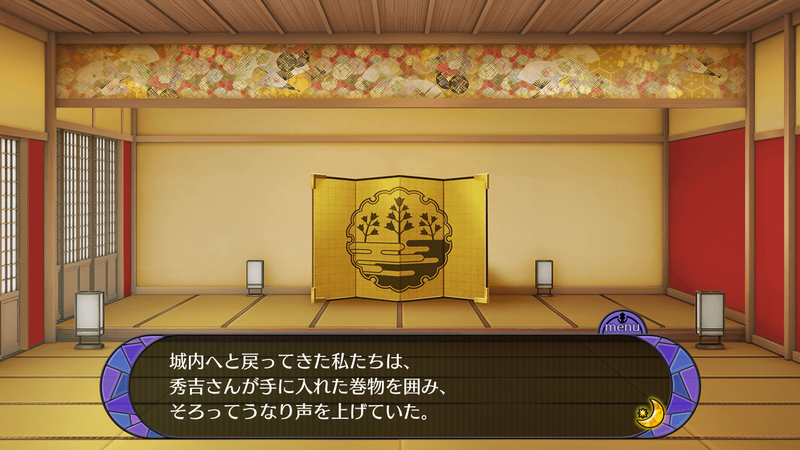 However, Hideyoshi seemed to be pondering over something…? We returned to the castle, surrounded the scroll that Hideyoshi-san obtained, and then everyone groaned. (Cards about the anime were given out and they correspond with each episode of the anime. Shingen’s card takes place after episode 3 of the anime). This entry was posted in Collaboration, Otome Games, Sengoku Night Blood and tagged Kadokawa, Konishi Katsuyuki, Marvelous!, Mobile, Otomate, SNB Shingen. (Cards about the anime were given out and they correspond with each episode of the anime. 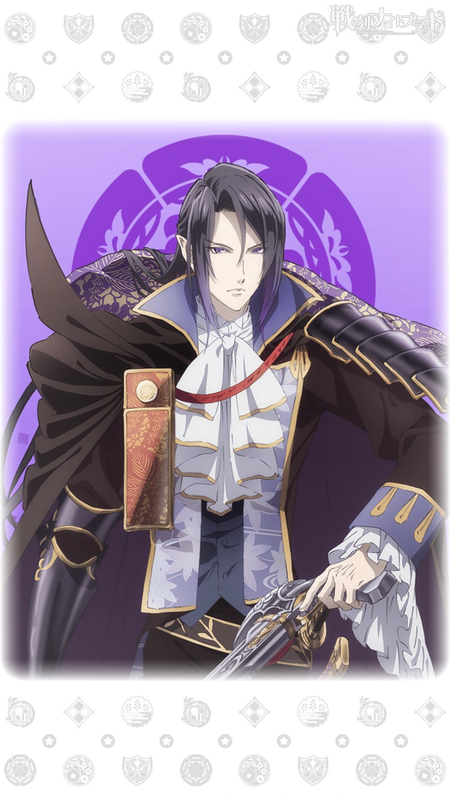 Nobunaga’s card takes place after episode 2 of the anime). 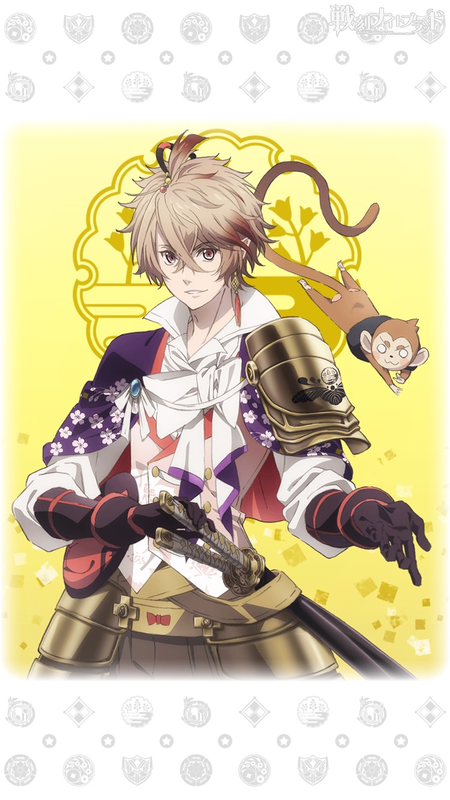 This entry was posted in Collaboration, Otome Games, Sengoku Night Blood and tagged Kadokawa, Marvelous!, Mobile, Morikawa Toshiyuki, Otomate, SNB Nobunaga. (Cards about the anime were given out and they correspond with each episode of the anime. Hideyoshi’s card takes place after episode 1 of the anime). 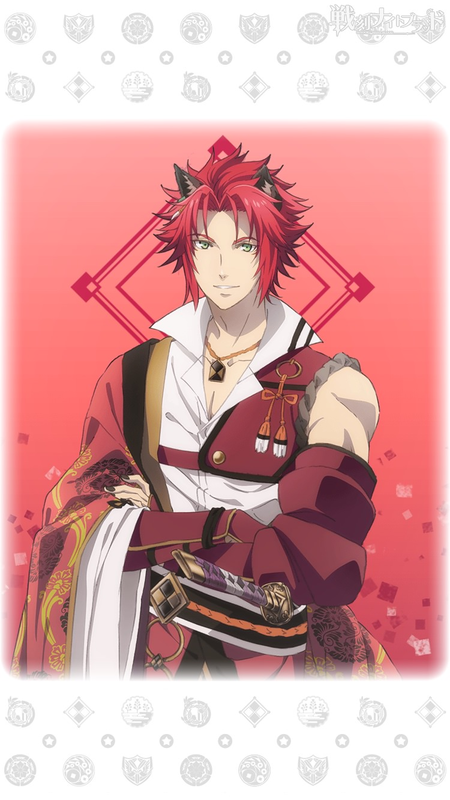 This entry was posted in Collaboration, Otome Games, Sengoku Night Blood and tagged Hanae Natsuki, Kadokawa, Marvelous!, Mobile, Otomate, SNB Hideyoshi.